White Gold Corp. (TSX-V: WGO) (OTC – Nasdaq Intl: WHGOF) (FRA: 29W) is pleased to announce the completion of its previously announced offering of common shares issued on a flow-through basis and concurrent brokered private placement of Common Shares with a syndicate of underwriters led by Clarus Securities Inc. and including GMP Securities L.P., Canaccord Genuity Corp. and Sprott Private Wealth L.P. The Public Offering consisted of the sale of 5,000,000 FT Shares issued at a price of C$2.00 per FT Share for aggregate gross proceeds of C$10,000,000, and the Concurrent Private Placement consisted of the sale of 3,333,332 Common Shares at a price of C$1.50 per Common Share for aggregate gross proceeds of C$5,000,000. Pursuant to existing investor rights agreements between the Company and Agnico Eagle Mines Limited (TSX: AEM, NYSE: AEM) and the Company and Kinross Gold Corp (TSX: K, NYSE: KGC), each of Agnico and Kinross exercised its right to participate in the Offering by purchasing 1,666,666 Common Shares pursuant to the Concurrent Private Placement. As a result, each of Agnico and Kinross holds an approximate 19.6% interest in the Company after giving effect to the Offering. In addition, certain directors and officers of the Company (and together with Agnico and Kinross, the “Insiders”) purchased an aggregate of 37,500 FT Shares pursuant to the Public Offering. Participation by the Insiders in the Offering was considered a “related party transaction” pursuant to Multilateral Instrument 61-101 – Protection of Minority Security Holders in Special Transactions. The Company was exempt from the requirements to obtain a formal valuation or minority shareholder approval in connection with the Insiders’ participation in the Offering in reliance of sections 5.5(a) and 5.7(1)(a) of MI 61-101. A material change report was filed in connection with the participation of Insiders in the Offering less than 21 days in advance of the closing of the Offering, which the Company deemed reasonable in the circumstances so as to be able to avail itself of potential financing opportunities and complete the Offering in an expeditious manner. The Company owns a portfolio of 21,218 quartz claims across 34 properties covering over 423,000 hectares representing over 40% of the Yukon’s White Gold District. 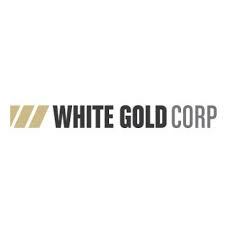 The Company’s flagship White Gold property has a mineral resource of 960,970 ounces Indicated at 2.43 g/t gold and 282,490 ounces Inferred at 1.70 g/t gold as set forth in the technical report entitled “Independent Technical Report for the White Gold Project, Dawson Range, Yukon, Canada”, dated March 5, 2018, filed under the Company’s profile on SEDAR. Mineralization on the Golden Saddle and Arc is also known to extend beyond the limits of the current resource estimate. Regional exploration work has also produced several other prospective targets on the Company’s claim packages which border sizable gold discoveries including the Coffee project owned by Goldcorp Inc. with a M&I gold resource(1) of 4.1M oz. and Western Copper and Gold Corporation’s Casino project which has P&P gold reserves(1) of 8.9M oz. Au and 4.5B lb. Cu. The Company has outlined an aggressive exploration plan backed by partners Agnico and Kinross.